Bringing Excellence in Scouting to youth and families for over 50 years. has been rated TOP QUALITY LEVEL of Cub Scouting at the end of 2018. 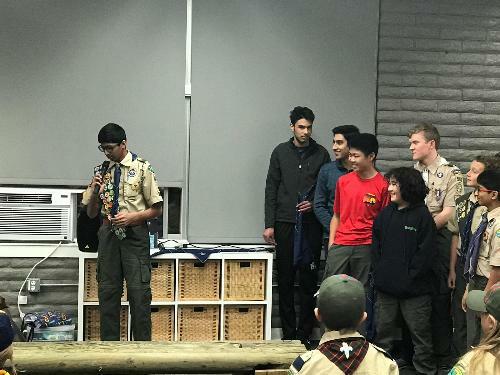 Older 11-18 year olds welcome in Troop 566. Click here to visit Troop 566 Website. Thursday, Apr 25th Pack Meeting, 7:25 - 8:30pm. Menlo Church Saratoga. Guests Invited. 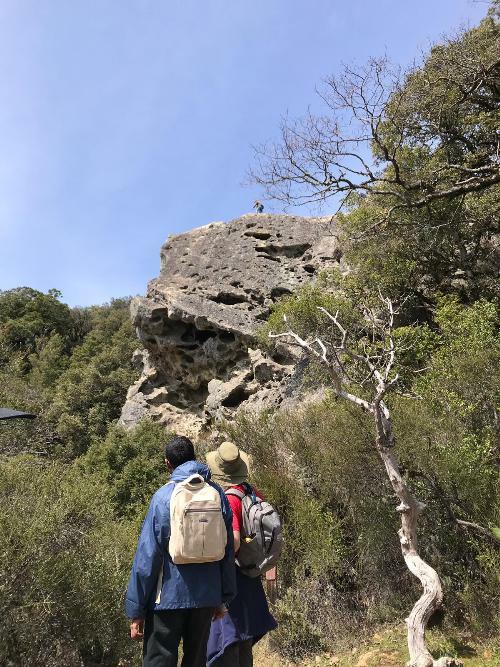 Saturday, Apr 27th Boat to and Hike on Island, Guests Invited. Thursday, May 9th Pack Meeting, 7:25 - 8:30pm. Menlo Church Saratoga. Guests Invited. Thursday, May 11th SCOUT O RAMA. Biggest Cub Scout Day in County!!! 10am -4 pm. Guests Invited. Thursday, May 17th Overnight on Submarine, Members only. Weekend, June 1/2. Pack Camping Trip. Members only. The view from the cliffs. We forgot to take. a picture and had to borrow this one. of a skull with bugs in it. 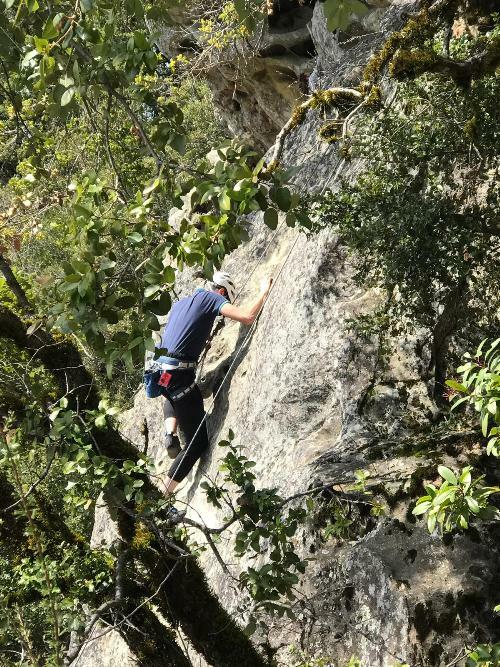 area of swiss cheese granite. and step off as Scouts. 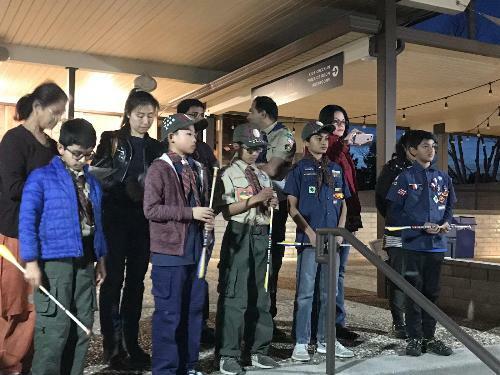 Troop 566, our sister group of older Scouts aged 11-18 sends a few members to receive the new Scouts. Annual Potluck and Awards Meeting, February 2019. 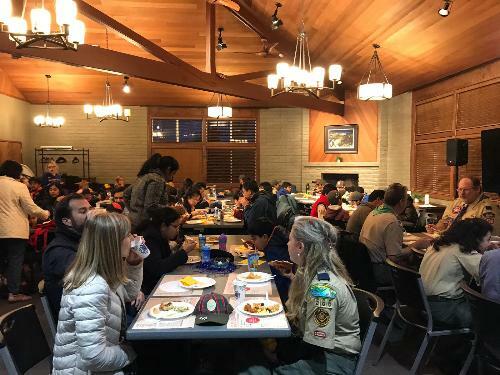 Potluck dinner for 110+ in Pack 566. Start of our Talent and Awards show: Tigers act out the "Light better under the streetlamp" skit. Wolves demonstrate Sign Language. 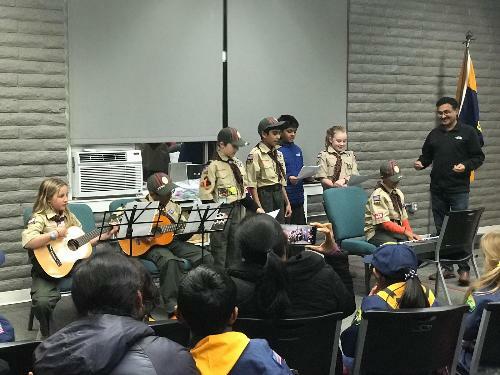 The Webelos I gives us a song. A den gets their awards. Cub Scouts has always been a family affair. 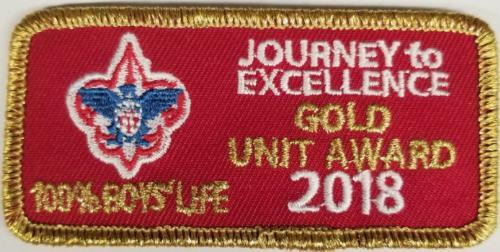 In pack 566 of old many sisters have participated in the program, less the formal awards. Siblings have their own racing division in the Cub Scout Derbies (Pinewood, Raingutter). 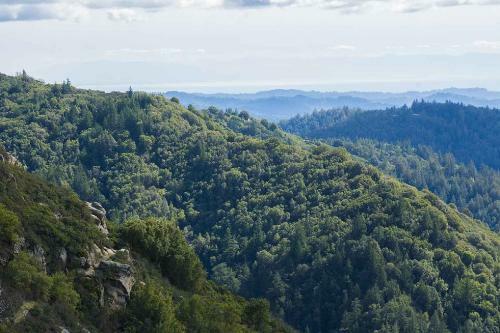 BSA has taken another step forward in opening membership. We applaud this as the program is wonderful and can easily serve all youth. Although the initial design is for separate female dens we can easily see coed dens. 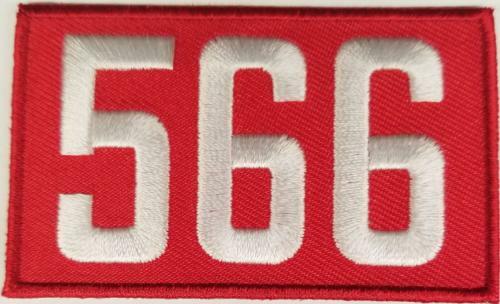 Pack 566 is an official EARLY ADOPTER of FAMILY CUB SCOUTING and now accept all youth. Cub Scouts is part of Boy Scouts of America, one of the largest youth organizations in the United States. 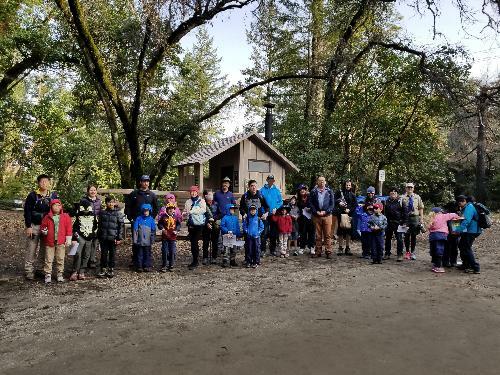 Cub Scouts now serves boys and girls from kindergarten through fifth grade* Pack 566 is an official FAMILY CUB PACK so both Boys and Girls are welcome to share the fun equally. * Note that the Cub Scout grade level is such that you advance the day after school gets out (early June) to the next grade level. 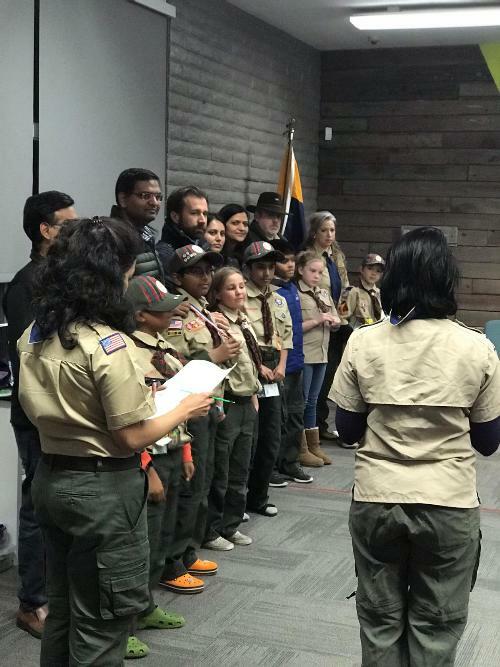 On Oct 11th, 2017 BSA announced that girls will be invited to join the Scouting adventure starting with Cub Scouts and advancing through all the way to Eagle Scout*. Older siblings can join Troop or Crew 566. the Scouting Troop program serving boys (girls in Feb 2019) aged 11 to 18. The Crew serves boys and girls aged 14 to 21. 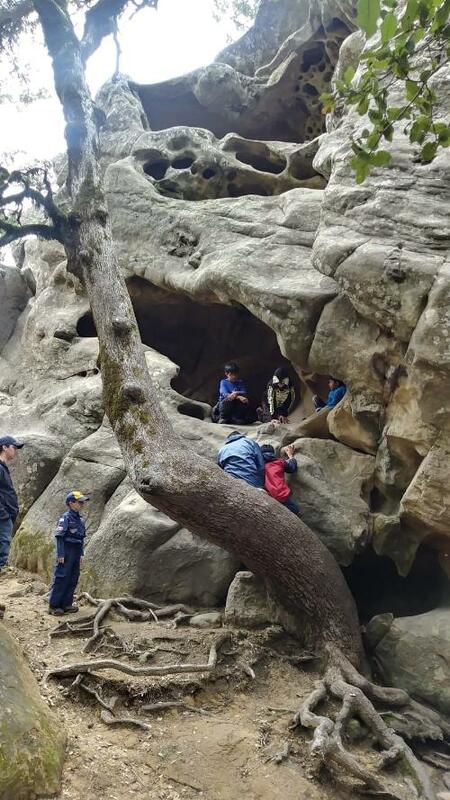 Unlike other youth activities lasting just a few months each year, participation in Scouting can be ongoing through adulthood providing experiences, friends, and fun. Pack 566 was a charter member of the Lion Kindergarten program. 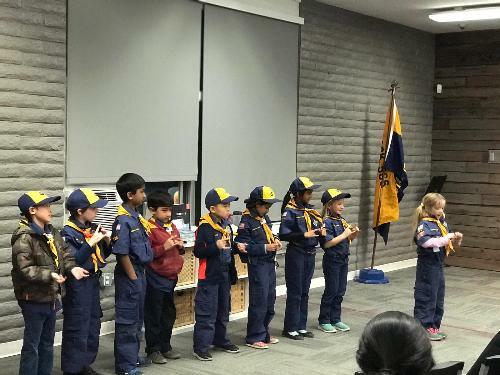 Now after 3 years it is now mainstream Cub Scouts.. 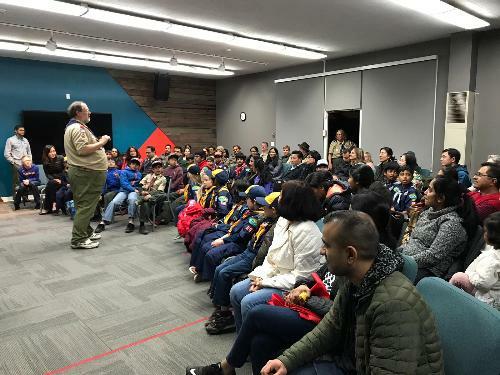 Pack 566 is proud to offer the Lion program to Saratoga / Cupertino/West San Jose and surrounding area families. Kindergarten is an exciting time for both youth and parents. Boys move from home centered activities into the public world. Mom and Dad meet many more families in the neighborhood and expand their participation in the community. LION and Cub Scouting can help with this transition providing a safe, consistent, and fun environment outside of school. Boys and parents participate together in the program. Unlike most other activities, participation in Scouting can continue through to adulthood. The LION program takes only a few hours each month and has very reasonable costs. Click on the "More Lion Info" link under the Lion in the left margin for more information. 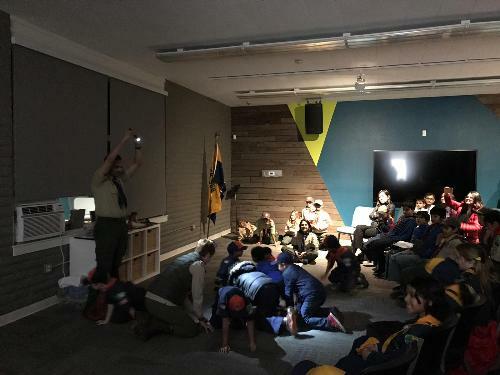 Cub Scouts have fun with other kids! We play sports, build things like race cars, space rockets, tool boxes, and miniature catapults. We play games and have contests. We perform skits, sing songs, and tell jokes. We explore our community by taking field trips to local places. We perform service in our community. We go on overnight trips that the general public does not have access to do like staying overnight on a submarine or an air craft carrier. We have summer day camps and weekend camping trips. We have fun all year long for many years. Check out links in the left margin. Where do our members live? Our Pack is spread in the triangle formed by HW280, Saratoga-Sunnyvale Road (aka DeAnza) and Saratoga Ave and surrounding areas. 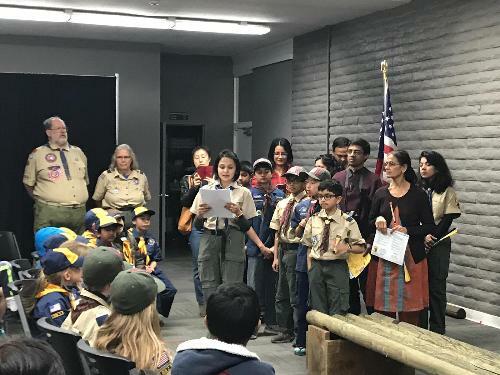 Why parents should have their children join Pack 566! It will be great fun and a positive experience. 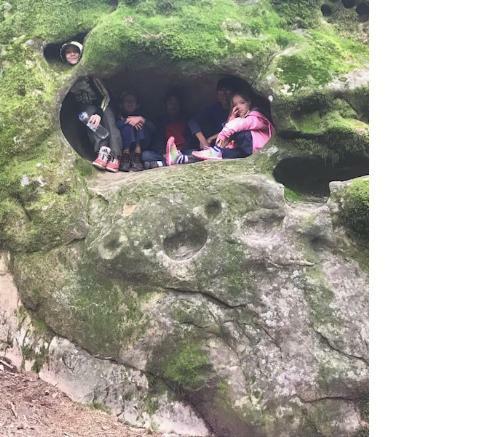 Den and Pack activities are something to look forward to providing a happy place outside of the pressures of school. Cub Scouts will give your children a head start in life. They will have a core group of local friends with whom they can participate in terrific activities in a safe and supervised environment. They will keep these friends for many years to come. Their social skills will improve and they will learn to be a team player as well as a team leader. Their exposure to foods, cultures, ideas, and more will widen. Respect will be given and received. 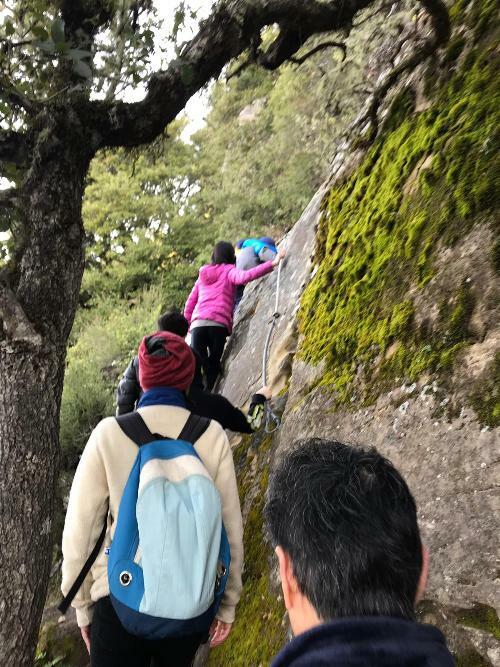 Your children will be introduced to much more of life as the experience of the group usually exceeds that of an individual parent's knowledge, comfort base, or time commitment allows. Cub Scouts can serve as the "village" that will contribute to your children's growth. Why Parents should be involved! There are no paid positions in a Cub Scout Pack. We are all volunteers, mostly serving our own children at the same time. Parents benefit from the adult social experience as you meet many other local parents. Be young again as you work with children. Use your specific knowledge and life experience to teach children in an informal setting. Make the Pack and the community as a whole better with your involvement as others do the same for your children.